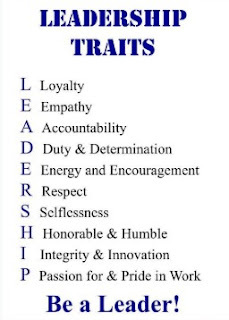 Three Of The 14 Leadership Traits You Should Learn From The Marine - One of the best way to learn about leadership traits is by learning about them from people who are willing to sacrifice their live for the sake of the country. They are the Marine. The marine is one of the most elite forces in the country, and they are trained to protect the country at all cost. Thus, learning about the traits of leadership from them seems to be the best way to learn not only about leadership but also about protecting and loving the country. The marine is famous for its fourteen leadership traits, but today, it seems that we are going to talk about few of them. The first trait of the Marine is Justice. Yes, being in the marine means that you have to be able to practice the skill of justice. If you have justice in your mind, you should be a person will always be fair to everyone. You will not have any favorite and you will give everyone the same opportunity to prove themselves to you. Another traits among the fourteen leadership traits is the judgment. When your judgment is clouded by anger and emotion, your way of thinking will not be clear and this is not the way a leader think before he or she makes an important decision. If you want to be a good leader, you have to be able to make a better decision and this is by being objective. Even though this skill cannot be learned instantly, a lot of practice and experience will prove that you will be able to master it. If you want to be a leader, the fourteen leadership traits also teach you how to be decisive. This means that you have to be able to make an important decision immediately and accurately. Just like Robert H Schuller said, it is better for you to do something that is not perfect rather than you do nothing about it.